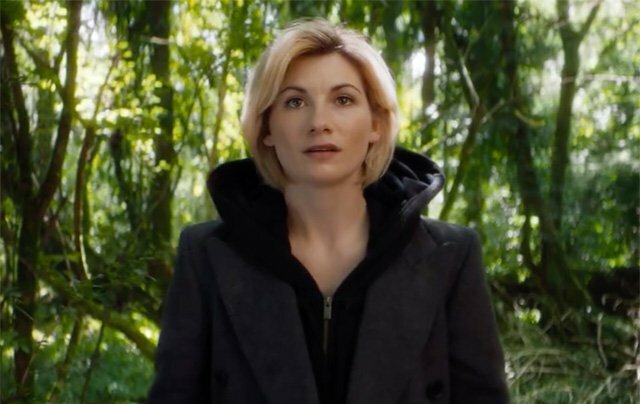 Whittaker says the new executive producer of DOCTOR WHO, Chris Chibnall — who also was her boss on BROADCHURCH — did not have to convince her to take the iconic role. And one final point: The outfit she wore in the announcement video will NOT be her costume as the Doctor. That wardrobe decision is yet to be made. DOCTOR WHO returns to BBC America with its annual Christmas special on Dec. 25. Peter Capaldi makes his last appearance as the 12th Doctor in a story that sees him meet the First Doctor (as played by David Bradley). The Doctor is expected to regenerate at the end of the story — but who knows? This entry was posted in Cult TV, Fantasy, Science Fiction, Video clip and tagged 12th Doctor, 13th Doctor, BBC, BBC America, Doctor Who, Jodie Whittaker, Peter Capaldi. Bookmark the permalink.